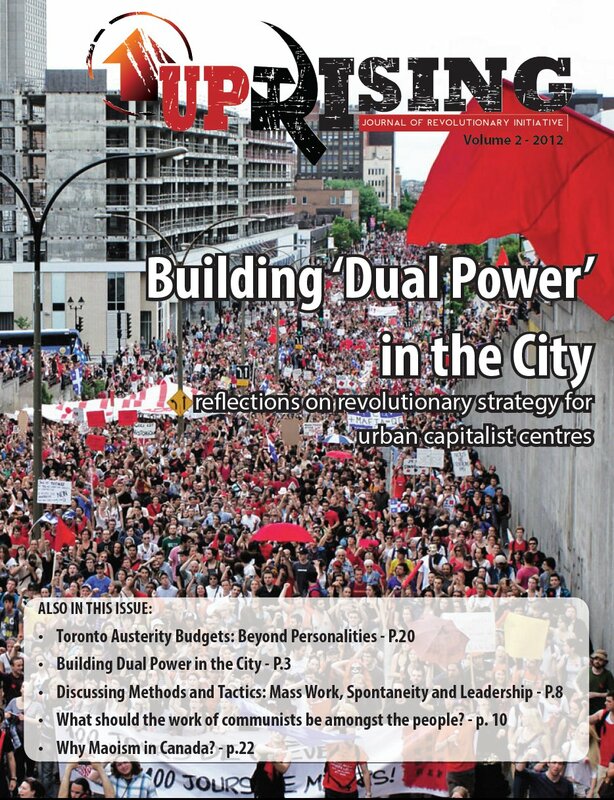 This article is being reproduced from BASICS Community News Service, a left people’s media organization in Toronto. It was produced by a people’s journalist from BASICS who visited Nepal in early 2013. “I just want to help children,” a voice called out in English from a clothing store in Thamel, a tourist area of Kathmandu, Nepal’s capital city. I saw a young white woman walking out of the store, and my curiosity got the better of me. “You want to help children?” I called out. It was a dark, cold January evening and the narrow streets were lit largely from stores which had no front walls and the signs that hung over them. The woman stopped and turned around. “Yeah. There are these street girls—and not the glue-sniffing kind—they’re really nice street girls, and they don’t have shoes or socks so I want to buy them socks. That’s a nice thing to do, isn’t it?” she seemed to be pleading. “The communist revolution,” I said, referring to the Maoist movement that has dominated the country’s politics for the better part of the last decade. “Because communists want to take things over and run things and tell people what to do,” she said with conviction. I tried to explain a bit of what the Maoist communists in Nepal were about, but she wasn’t convinced. 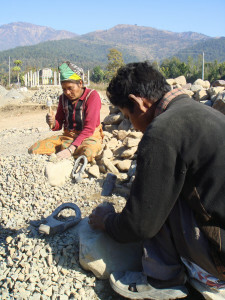 A few days later, in the small city of Birendranagar in the western district of Surkhet, I was squatting on my haunches watching as barefoot men, women, and children sat next to mounds of gravel and smashed at stones with hammers. Bits of stone flew in all directions and kept hitting me in the eyes. It took me awhile to realize that these people were producing the gravel. 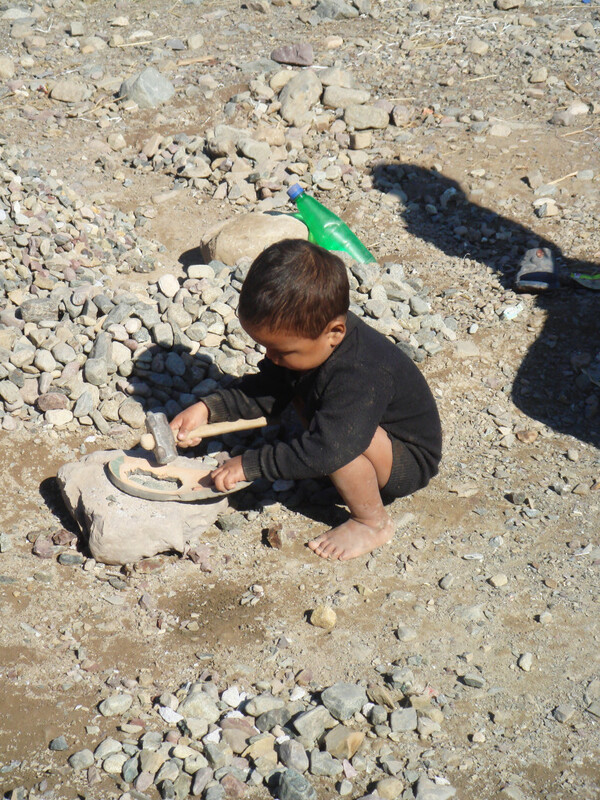 A toddler wearing a black shirt and no pants—never mind shoes—was hitting at a rock with a hammer as a playtime activity, imitating the older children and adults around. Other youth, in their teens and early twenties, were collecting large stones and rocks and arranging them in blocks to build a bridge. The sun beat down on our backs as I asked Veer Bahadur, a 49-year old stone-breaker with dusty, bandaged thumbs, to tell me about his life. 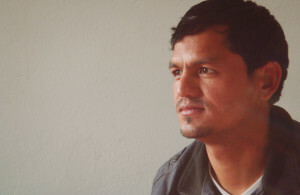 His 35-year old wife, Jitmaya Nepali spoke more. We communicated through a translator, a small-business owner who was showing me around the city. They explained that they were from the Thapa, a caste of historically-oppressed indigenous (janjati) peoples. Completely landless, they were living in a hut thrown up on some land near the construction of the bridge. They had four children. Only the youngest was in school. I asked about untouchability, the political, economic, and cultural system by which people from upper castes would refuse to touch people from the lowest of castes, make them do the worst of jobs, and generally treat them with disrespect and contempt. In the course of a ten-year long People’s War launched in 1996, during which they took control of some 80-percent of the countryside, the Maoists struggled against untouchability and for the rights of oppressed castes and nationalities, women, small businesses and, of course, workers and peasants. When it came to politics, though, Jitmaya asserted that whoever won the elections, it just didn’t do much for her and people like her. 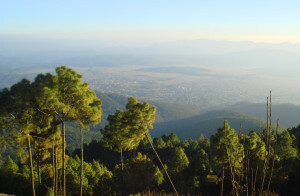 The Nepali Congress and the Communist Party of Nepal (United Marxist-Leninist), or UML, were the largest parties in Nepal before the Maoists came onto the scene. Although they have opposed the attempts by Nepal’s monarchy to take total control, they have also leaned heavily on the highly oppressive semi-feudal landlords and sections of the bureaucracy to support them. The two parties are also often seen as being very close to India, whose control and influence is considered by many to block Nepal’s prospects for economic and political development. Congress and UML’s reluctance to support the economic and cultural reforms needed to establish a true democracy played into support for the Maoists in the course of the People’s War. But when the monarchy took total control of the country in the early 2000s, the Maoists ended the War and joined hands with Congress and UML in a People’s Movement that decisively abolished the monarchy. Surprising everybody, perhaps including themselves, the Maoists emerged as the largest party in the Constituent Assembly elections held in 2008. But the following years brought little political stability, as different parties cycled through Prime Ministerships. No administration could last very long—leading to intense dissatisfaction throughout the country. “What’s politics got to do with us? Why should we go after politics? What will the Maoists do for us?” Balbahadur Viswakarma said when I asked him about his views on politics and the Maoists. A couple of hours away from Birendranagar, in the “village development committee” of Maintada, Balbahadur is a labourer from the Dalit caste of “untouchables.” 50-years old, Balbahadur was squatting on a pile of rocks, which he was putting together to construct a home, when I went up to speak to him in Hindi. But his words further on betrayed some appreciation for the Maoists’ struggle. “More people have gotten livelihoods as a result of the People’s War. Before the War, only the children of rich people got jobs and income. Those people who were already big leaders, or owned businesses, or had a lot of land. Still, Balbahadur argued that the People’s War was not a success because the Constituent Assembly had proven incapable of producing a constitution. What is it about these Maoists that people could express, at once, their appreciation for their actions and skepticism about their intentions? How are Maoists handling their departure from revolutionary politics and entry into mainstream politics? And just who are these Maoists, who risked life and limb in a ten-year long People’s War against the police and army of Nepal? Bimila Hamal was suffering from motion sickness and so she spent most of the bus ride to Surkhet half-asleep—on top of me. 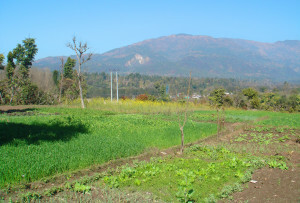 Surkhet district is in the western part of Nepal, some fifteen hours west of Kathmandu by bus. The ride is bumpy and winds its way along precipitous mountain paths. The 26-year old kept apologizing about giving me the trouble, and I sat there awkwardly trying to make sure she didn’t fly out of the seat every time the bus hit a bump, which was often. My head hit the coaster above me several times. A screen at the front of the bus played a Nepali film, and Bimila was totally alert for one of the songs, explaining that she really liked it. From time to time her phone would go off to the tune of a sweet and sugary Hindi song. An hour or two away from Birendranagar, as the daylight came up, the usually cheery Bimila turned sombre and pointed out a national park in the lush greenery of the hills and valleys below. Bimila was part of a Maoist artists’ troupe. 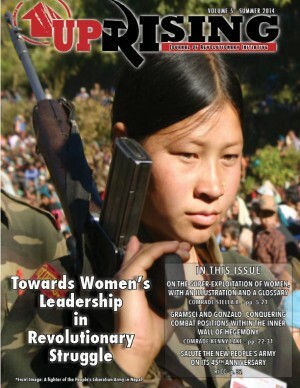 She joined the Maoists when she was 13-years old, in the middle of the People’s War. Completely banned, the Maoists were totally underground. Her nom de guerre is Sarala. It means simple. I first met Bimila in Kathmandu, when delegates and observers were taking a break from the Seventh National Congress of the Communist Party of Nepal – Maoist, held in mid-January. I asked her then about how and why she joined up with the Maoists. Bimila is from a family of small peasants—poor, but not too poor. Her parents supported the Maoists and their ideology of equality and development. Her father was sometimes jailed, and to avoid police he was often not at home. Bimila’s mother and her daughters faced the brunt of police repression. That just fueled even more resentment against the state and underscored the Maoists’ point that there could be no liberation under the existing political order. So Bimila became a whole-timer (full-time activist) with the Maoists. Because she was young she wasn’t assigned to fighting. Instead, she joined in with the artists, and was trained in dancing. She was also trained in political and social science, public speaking and how to conduct mass work. The Maoists and communities that supported them were the frequent target of state repression, so even artists were trained in handling weaponry for self-defense, as well as in first aid. Many of Bimila’s friends died in the People’s War, but she also remembered it fondly as a time of great camaraderie and solidarity. Bimila got married during the People’s War, and now has a five-year old son—named Soviet. I bumped into Bimila a couple more times over the next few days, and when I learned that she was going to Surkhet with another comrade from the All Nepal Women’s Association (Revolutionary) (ANWA(R)), I asked if I could come along. That got me on the 15-hour bus ride to the western part of Nepal. At one point in Surkhet, Bimila showed me two videos of herself dancing. 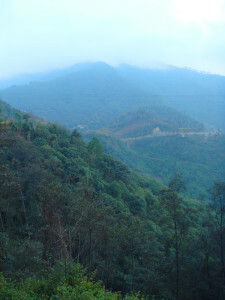 One was filmed in one of the Maoists’ Base Areas during the People’s War. Bimila dances in a circle with other men and women in western Nepali style to a deuda, a man and a woman competing in singing verses—here, revolutionary verses. But in the other video, she dances by herself to a popular Bollywood song, at a picnic in peacetime. After the War, Bimila resumed her education and is now enrolled in a B.Ed. program. I got the sense she’d like to be some kind of a performer. But, she noted, her husband encouraged her to continue as a leader instead. Like so many others, Bimila is torn between the need to complete the revolution and the comforts of peace—“a morbid peace” because the efforts and sacrifices of the People’s War did not lead to the outcomes people fought for: No constitution, no government of the workers and peasants, no accelerated development toward equality. Instead, the deep practices of the state came back, even when the government was led by Maoists. Politicians went back to the kinds of wheeling and dealing, corruption and scandals, and subordination to Indian expansionism that had led to the People’s War in the first place. It seemed certain that the Unified Communist Party of Nepal (Maoist) (or UCPN(Maoist)) had abandoned its program of revolution. 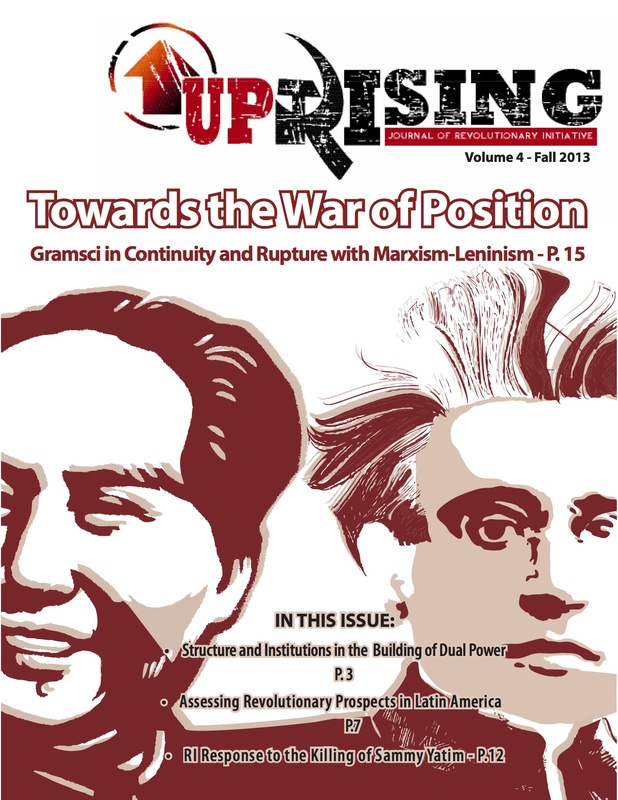 When those who were committed to the goal of revolution decided to split and to form the Communist Party of Nepal – Maoist (or CPN-Maoist, also called the Dash Maoists for simplicity’s sake) in 2012, Bimila sided with the revolutionaries. Now Bimila is a regional bureau member of the Dash Maoists, a central committee member of the All Nepal Women’s Association (Revolutionary) and its district in-charge in Surkhet. She often deals with cases of polygamy, violence against women, sexual harassment and alcoholism—these things go together all over Nepal—organizing ANWA(R) activists to empower women and to bring men around. There was some mischief in Kanta Poudel’s eyes. In Kothikada, on a peak overlooking the Surkhet Valley in which Birendranagar is located, the 30-year old schoolteacher was telling me about the situation of women in her region. We weren’t alone. We were surrounded by over a dozen men and women listening to our conversation. “There was violence against women in general and domestic violence as well. Our voices weren’t heard, many times we literally couldn’t even speak,” she explained. Many of the women nodded or muttered in agreement. The men looked on. Among the spectators was Kanta’s father, 72-year old Tikaram Devkota, a small peasant from an upper caste, a committed monarchist and an opponent of the Maoists. Some ways down from Kothikada in Chhera, I met with 33-year old Balkrishna Bandhari, who owned a small roadside shop from which he sold food (noodles, rice and dal, so on) and basic condiments. “Isn’t foreign investment a problem?” I asked. I heard that kind of skepticism in politics from dozens of people all over Nepal. Baburam Bhattarai is a senior leader of the UCPN(Maoist), and an accomplished academic and intellectual. He was finance minister from 2008 to 2009, and won widespread admiration for his performance, particularly by pressuring the bureaucracy to collect more taxes than had ever been collected by any government before. His administration also managed to control prices of petrol and other essentials. But the first Maoist administration under the prime ministership of UCPN(Maoist) top leader Prachanda (Pushpa Kamal Dahal) was forced to leave government in a struggle with the army and other parties in 2009. Bhattarai then became prime minister in 2011, but instead of delivering on a constitution, he dissolved the Constituent Assembly in May 2012. To make things worse, inflation kept rising as joblessness increased. Meanwhile, the struggle inside the party between revolutionaries and reformists continued. In the course of the People’s War, Maoists had set up Base Areas, where the government forces could not enter, and in which they developed organs of people’s power from below. These included people’s councils for governance and administration, people’s courts, people’s micro-industries (including a people’s micro-hydroelectric project), and much more. Even where the Maoists were not in full control, they had mobile people’s councils and mobile people’s courts, delivering quick dispute resolution rather than having people travel far to district courts. In many areas they took over land from large landowners and redistributed it to poor peasants. It was part of what made them so popular. But upon ending the War in 2006 and entering the peace process, the opposition set conditions upon them to reverse the land reforms and to dismantle structures of people’s power. Prachanda and Bhattarai accepted this condition, saying they could achieve the revolution through other means. Though the revolutionaries in the party were skeptical, they went along with it. But six years later, the struggle sharpened, especially after the dissolution of the Constituent Assembly. The Maoists had suspended the revolutionary process so that they could play the game of parliamentary politics, only to find that they couldn’t play it that effectively. In fact, it seemed like Prachanda and Bhattarai had given in to the logic of the top-down parliamentary process rather than looking to build people’s power from below. The revolutionaries finally broke in mid-2012, accusing Bhattarai and Prachanda of having no intention of walking down the revolutionary road. “I used to like Bhattarai,” a small-business owner, who chose to remain anonymous, told me in Birendranagar. “But not anymore. Instead, I support the Dash Maoists,” he said, referring to the faction that had split by its popular name. He was not, however, a member. He was right. Just next to the hotel was a dingy, seedy bar-café, with a carrom board outside, around which were half a dozen to a dozen young men. In fact, as I traveled through the countryside for long hours on buses, passing through small villages and towns I saw carrom board after carrom board surrounded by young men. In the city of Kathmandu, in district Nawalprasi in the south and, of course, in Surkhet, I saw it on the ground. He explained that despite belonging to an upper caste, he came from a poor, landless working-class family. His father worked in other people’s homes. 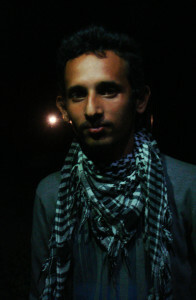 He left Nepal at a young age to study in India but could not complete his university education. So he started working there when he was 18-years old, then in other parts of Southeast Asia, before very recently returning to Nepal. He was now 45-years old. “I was compelled to go abroad, like so many youth. Our youth have no future in Nepal. They are wasted here. If the communists take my property to create development and jobs for everyone, then I am happy to give it all up! So what was his problem with Baburam Bhattarai? By all accounts he was a hard worker, and he was trying to invite foreign investment to the country. He went on to explain how Nepal has entered into many unequal treaties with India, and that Bhattarai’s government had, in fact, entered into even more unequal relationships like this. Nepal’s population is some 26 million, whereas India’s is over 1.2 billion. A lot of small business owners and workers flow into Nepal from India—while the reverse also happens. But the major threat appears to be the wholesale exploitation of Nepal’s resources by large Indian companies. In fact, Bhattarai had signed onto the Bilateral Investment Promotion and Protection Agreement (BIPPA) with India, which was roundly criticized even by members of the UCPN(Maoist), never mind the Dash Maoists. Despite having the world’s second-largest potential for hydroelectric generation, Nepal lags far, far behind, with several hours of load-shedding in major cities and practically no electricity in rural areas. Instead of using state power to raise national capital in order to develop the capacities, Bhattarai’s government was continuing to sign over national resources to Indian companies. 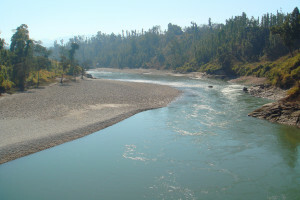 In fact, the Dash Maoists have started a company to try and raise the capital necessary to develop the hydropower project and replace the Indian company, demonstrating the potential for Nepalis to form their own alternatives from the ground up. “Instead of developing our own resources, Bhattarai has continued our dependence on Western powers.” He explained how the World Food Program was being relied upon to get food to remote areas in Nepal. To him, Bhattarai and Prachanda’s leadership had shown itself to be incapable and steadily more corrupt. The next morning he took me around the city to meet with the stone-breakers and to see his own homes. He had a modest, solid home in which his sons lived as they studied—one of his sons had quit his studies and, typically, was working abroad—and another home was just a shack, out of which his wife operated a little store selling some biscuits, snacks and tea. Behind the shack was a tiny plot of land on which he wanted to build a solid house. He explained. “They were in two trucks. We set up an IED on the roadside, that flipped over one of the trucks.” I looked down, it was a dizzying tumble into the lush green brush. “The rest we scattered from up above.” I looked up. Rocks and trees provided extensive cover. The 30-year old is a former guerrilla, he used to be a battalion commander in the People’s Liberation Army (PLA). His nom de guerre was Jalan—it refers to a feeling of burning. Jalan was in India over ten years ago studying to become a medical doctor when the People’s War picked up. He left his studies midway and came back to Nepal to get involved in the struggle. “We started off by cutting the tails of the landlords’ and government agents’ horses and buffaloes. They would ride around on their horses and people would laugh at them,” he said with a mischievous smile. From there, the youth graduated onto more militant, and then armed activities. At some point, we talked about courtship and marriage during the People’s War. “During the People’s War, if you met someone you liked, you had to get the permission of your party committee to court them,” Jalan explained to me. “The courtship period had to be for one or two years, so that you could get to know your potential partner properly. Bimila had told me how worried people would be for their partners. She married someone from the PLA, and because their assignments were so different—he, like Jalan, a roving guerrilla, and she a roving artist—she would often have no news of her husband for months on end. They would meet at party functions, like secret rallies or meetings, or could arrange to meet if they found out their assignments were close-by. The emotional toll of these fragmented relationships was heavy as well. Over 15,000 people were killed or disappeared during the People’s War, mostly by government forces (though the Maoists seem to count both party and government combatants as martyrs). 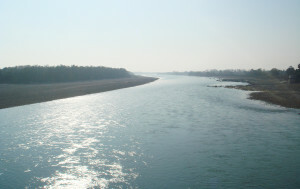 Pokhara is the country’s second-largest city. The arrested were taken there. “I myself was arrested,” Jalan said to me. “I still can’t believe how I escaped alive. I was surrounded on all sides by cops, but I broke free and lashed out. I injured seven of them. I jumped on a motorbike and got out of there. It was like a miracle. “We were fighting for world revolution,” he sighed. Bimila once said that her unit was told that after they liberated Nepal, they would go and help liberate people in other countries. But then, without the completion of the revolution, Maoist leaders completely disbanded the PLA. In 2011, Prachanda and Bhattarai signed a Seven-Point Agreement with opposition parties to effectively liquidate the PLA. A few thousand former guerrillas could opt to join the Nepal Army while others would be given compensation packages ranging from 500,000 to 800,000 rupees. “In my cantonment, about half of us just walked out—we were about 1,500. We went to the main square in Birendranagar and burned the Seven-Point Agreement. I could have opted to become a major in the Nepal Army. I would have been getting training right now and a nice salary. “But I fought for revolution. We gave up so much for the revolution, and in the end our leaders gave up the revolution. It was nothing less than a betrayal of the revolution. “It was wrong of the party to turn Prachanda into a god-like figure. It was wrong for the now-leaders of the Dash Maoists to not tell us sooner about the contradictions in the united party. “After the PLA was demobilized into cantonments, we’d get a monthly stipend of 3,000 rupees, and many of us would give 1,000 rupees back to the party in Prachanda’s name. The sense of betrayal runs deep among thousands of former guerrillas, as does the sense of loyalty to Prachanda. A sizeable portion of the former PLA broke with the UCPN(Maoist) and went over to the Dash Maoists, looking to complete the revolution. Many remained with the main party out of a sense of loyalty. A third section simply took the compensation and abandoned both. A former guerrilla couple I met at the Kohalpur bus stop on my way to Surkhet had used the compensation they received to start a small roadside café serving passengers who got off from buses for fifteen minutes. The wife sat nursing a baby, and the husband spoke to me as he prepared tea. There was a tiredness etched onto the faces of even those former guerrillas who hadn’t abandoned the idea of eventually returning to arms. Jalan showed me the river and the bridge that used to separate a Base Area from a “red zone” village, an area that was under Maoist influence but still very accessible to the government due to the main road. The village was built on a hill that sloped down to the river. As we returned from the bridge and climbed up the slope toward the main road, the dashing Maoist was as out of breath as I was. “I used to run daily when we were in the cantonments, but since then, not so much,” he said somewhat sheepishly. After the end of the War, many of the guerillas had turned to civilian pursuits, even if they were in the cantonments. Many took up their studies again. Jalan had completed his B.Ed. and planned on getting his M.Ed. and eventually his PhD. He had a daughter to look after now as well. I bumped into some members of the UCPN(Maoist) at a hotel restaurant in Surkhet, while I was with Dash Maoist members. We sat at two tables next to each other, eating lunch. Getting to the heart of the split between the UCPN(Maoist) and the CPN-Maoist means looking past the confusing jumble of alphabet that their names represent and looking at the subtlety of their different theoretical positions. I’m going to try and do that in this section, bear with me. Narbahadur Bista, an elected member of the former Constituent Assembly and a regional committee member of the UCPN(Maoist), began commenting on the size of the Dash Maoists’ recently elected central committee. The central committee is a representative body elected from delegates sent to a communist party’s general congress. The Dash Maoists had elected 51 central committee members at their congress. Although the UCPN(Maoist) was yet to hold its congress, its delegates would end up electing 99 and leaving it up to the provisional central committee to select an additional 55 or so. Basically, Bista was saying that his central committee was bigger than Bimila’s. Bimila was responding that it wasn’t size, but what you did with the central committee that mattered. In classic Maoist theory, the goal of a revolution in a “semi-colonial, semi-feudal” country is to rally the popular, democratic class forces—workers, peasants, middle-classes, and nationalist business classes—into a United Front, but under the leadership of the workers and peasants. The United Front has to defeat imperialism and feudalism, both the actual representatives and armies of these forces, and the political economic system they embody. This means that the revolution must redistribute lands to producing peasants and then begin collectivizing farms to achieve economies of scale and production, and also must promote then appropriate the resources of the capitalists, in order to build the infrastructure necessary for a socialist society. This, in a nutshell, is the theory of the New Democratic Revolution—a continuous but prolonged move from an underdeveloped economy to a socialist society. In theory, a revolutionary party has to be tightly disciplined if it’s going to defeat the organization of the ruling classes—that is, the imperialists, the feudal classes, and the capitalists who are allied to them rather than to the nation. So during the People’s War in Nepal, the Maoists had a very tight, highly disciplined underground party, even though it was vast and commanded the support of millions of people organized into all kinds of mass associations and unions. Adding many people to the Central Committee makes more sense when the party comes to power after a revolution. But here, the UCPN(Maoist) was doing that before the completion of the New Democratic Revolution, meaning it was building A kind of a mass party more geared toward parliamentary elections. That meant wheeling and dealing to bring a lot of people with vastly different theoretical and ideological positions into the same party. It probably couldn’t be focused in the same way on revolution any more. It wasn’t all that simple for the Dash Maoists, either, given their broad membership of 160,000 or so. But they were trying. So did that mean that the UCPN(Maoist) was abandoning revolution? “There’s no truth to that,” said Kamalesh D.C., a journalist and a district committee member of the UCPN(Maoist), who I met along with Bista. The Dash Maoists had left me alone with them. The Maoists had ended the War because they decided that, although they had occupied most of the countryside, they simply could not penetrate the heavily fortified cities—large and small alike. So the party decided to enter into a peace process to gain access to the cities. The idea was to launch an insurrection, and something of the sort was attempted in May 2010 but the Maoist leadership called it off after a few days. “There is no fixed date of insurrection. What we are saying is that we have to use the People’s War and the nineteen-day People’s Movement [that overthrew the monarchy] as the basis to move forward,” Kamalesh said. “We have to preserve and institutionalize the changes, that is, the republic. I asked Kamalesh how what he was saying, about peaceful transition to revolution through parliamentary government, squared with revolution, which was about smashing the old state institutions and their replacement with people’s power. In fact, at that time, the Supreme Court, in alliance with the status quo parties, appeared to be going after Maoists with a vengeance. “But why dissolve the organs of people’s power that were developed over the course of the People’s War? Couldn’t they be expanded into a people’s state?” I asked. This was one of the cruxes of the disagreement between the Prachanda faction and the Dash Maoists. The Dash Maoists saw the dissolution of institutions of parallel, people’s power as a tremendous mistake. It meant that from now on, the Maoists would have to play the political game by the rules of the existing political order rather than putting forward a politics of oppressed classes from a position of strength. The point of New Democratic Revolution is that state institutions are under the control of the workers and peasants. But the UCPN(Maoist) appears to have a strictly economic approach to the question. “New Democratic Revolution means what? It means capitalist revolution. For us to get to New Democratic Revolution we need to achieve economic development first, and we are doing that through the stage of the capitalist revolution. This is the other crux of the problem. New Democratic Revolution does not wait for the capitalist revolution to happen first. Workers’ and peasants’ control of the state is supposed to be the condition necessary for developing capitalist relations and replacing them with socialist relations. In effect, it appeared to me that the Prachanda-Bhattarai UCPN(Maoist) position was that Nepal needed to achieve a capitalist revolution before workers’ and peasants’ power could be established, that the transition to socialism could be achieved peacefully and through parliamentary means. In theoretical terms, this is the complete opposite of the positions that led to a crystallization of Maoism as revolutionary politics in the first place. In fact, the UCPN(Maoist)’s congress later passed precisely this line of capitalist revolution, sidelining the New Democratic Revolution. What’s more, in my time there, Bhattarai’s focus seemed to be on building or improving roads in certain areas of the country—those likely to attract foreign investment. Prices for essential goods kept increasing and there was little respite for the poor. There appeared to be no effort toward developing and implementing social welfare programs. In many areas of the country, agricultural land was being sold off not for productive purposes but for real estate development. In Nawalprasi I saw the board of a developer showing how a site was to be divided into plots for homes. Dash Maoists claimed Bhattarai and Prachanda were facilitating such processes. Even if they weren’t, they didn’t appear to have a plan to stop them, and that might have been a result of their preoccupation with political matters. But even under non-revolutionary, social democratic developmental theory, the state is supposed to take a more active role in guiding investment, pooling together capital, and making investments itself. It’s domestic investment, not foreign investment, that leads to substantial industrialization and economic development. Agriculture is supposed to be promoted through subsidies and focused planning, not replaced with real estate. It seemed that not only had Bhattarai gone from being a revolutionary Maoist to a supporter of capitalism, he was doing it in a way that submitted Nepal to policy prescriptions of neo-liberal international financial institutions like the World Bank and the International Monetary Fund! That could only end up benefiting the already-rich, as well as companies in large countries like India and the United States, not the masses of Nepal. Cash Maoists, indeed. If this is the case, then what was the point of the People’s War and the whole fight for revolution? No wonder so many see it as betrayal. “If you cannot erase this line on the blackboard without struggle, how can you change society without struggle?” asked Bishal Giri. Bishal Giri, 23-years old, was explaining to me how he approaches and recruits students to the All-Nepal National Independent Students’ Union (Revolutionary) (in Nepali that mouthful is abbreviated to Akhil Krantikari). He was a member of ANNISU(R)’s Nawalprasi district committee, in the southern plains. Bishal’s simple exposition reminded me of that Western woman who wanted to help barefooted children in Kathmandu. Can social change be accomplished without struggle? Can it be restricted to a few charitable or NGO programs? Or does it require mass transformation? The People’s War may have given a shock to some of the worst aspects of social discrimination against oppressed classes and women. But it doesn’t seem like it changed any of the class structures that made that discrimination so potent. At the ground level, many people realize this, largely because they find themselves unable to feed their children adequately, or if they can feed them then to educate them, or to get them jobs even if they are educated. For all the NGOs and charities operating in Nepal, people find themselves all the more pressured every day. Meanwhile, having mobilized hundreds of thousands of people across the country, and tens of thousands of actual cadres, the Maoists did nothing with their enthusiasm and the political and administrative skills they developed over the course of the People’s War. The Base Areas were dismantled. People’s power and people’s courts were dissolved. 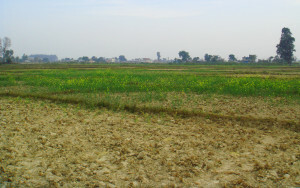 Land reforms were often reversed. Micro-industries and agricultural communes that had developed in the Base Areas, and that could have served as a starting point for a real people’s economy, were all but abandoned. What’s worse of all is that the passion and movement of the masses was stopped in their tracks. Cadres at the grassroots of the Maoist party recognized this, just as radicals in the leadership did. But it was primarily members of the artists’ front and the guerrillas—people like Bimila and Jalan—who pushed to have the debates at the top tiers of the party spread throughout its rank and file. Ultimately, that cleared the ground for the Dash Maoists to break away and form a party seriously committed to revolution. There are two major obstacles they face. 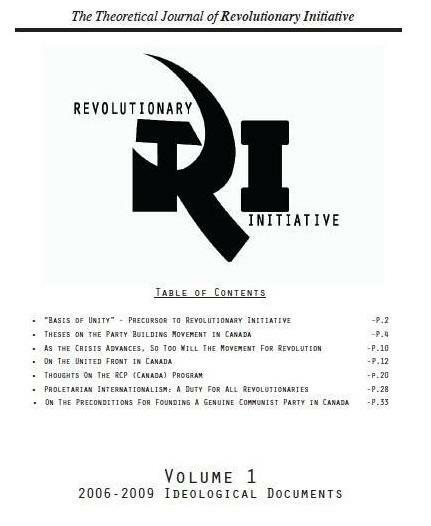 Not only are they up against international powers, other parties that want to maintain social inequality and their own privileges, but they are also going to struggle against their former friends and comrades who were, once upon a time and not so long ago, right there with them fighting for revolution. They also face the skepticism of the masses whose hopes were brought up when the Maoists first put forward and fought for their program of class, caste, gender and ethnic equality—only to be shattered and brought back to the ground. The CPN-Maoist’s members know that they have to practically demonstrate that they are not hungry for seats or power, but that they are committed to serving the people and agitating for their needs and rights. And they plan on doing just that, through agitations for Nepal’s sovereignty and for the rights of the people, and through programs that serve the people and organize their power autonomously from that of the ruling classes. In the days, weeks and months ahead, they face the task of putting together the pieces of the once mighty struggle of the workers, peasants, women, oppressed castes and nationalities, to revive structures of people’s power, and to complete the revolution. These artists, these guerillas, these students, these business-owners, these 21st century revolutionaries are not throwbacks to another era of armed struggles and people’s revolution. They fight not only for their own country but with a keen awareness of the fact that the success of their struggle can have reverberations around the world. Where, in Libya, Syria, Egypt and all of these other places, people’s struggles seem to be heading to no popular and democratic resolution, they pose a model for revolution that puts the process firmly under the hands of the oppressed and exploited classes. Just like Hugo Chávez was not merely the comandante of the Venezuelan revolution, but, because he stood up to neo-liberal policies on a world scale, a comandante of the anti-imperialist revolution worldwide, we need to understand that the Maoists in Nepal fight not just for themselves but for all of us. Their revolution is not just their own, it is ours, too—a revolution to put people’s democracy and socialism back on the world’s agenda. We can help them, at least a little bit. They don’t want our handouts—a few socks and shoes. They want us to put pressure on our governments to stop interfering in their country’s matters in ways that try and undermine the revolution. Hell, what they want is for us to make socialist revolution in our own countries! Given the intensity and speed with which the political and economic system around is experiencing crises after crises, that may not be a long ways off. But as we prepare the ground for our own struggles, it’s up to us to give these revolutionaries in the Third World the moral and political support that they deserve. 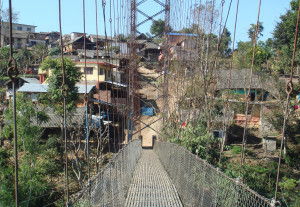 Noaman spent almost a month in Nepal from January 7 to February 4 in 2013 for research and reporting. He can be reached at noaman [dot] ali [at] gmail [dot] com. 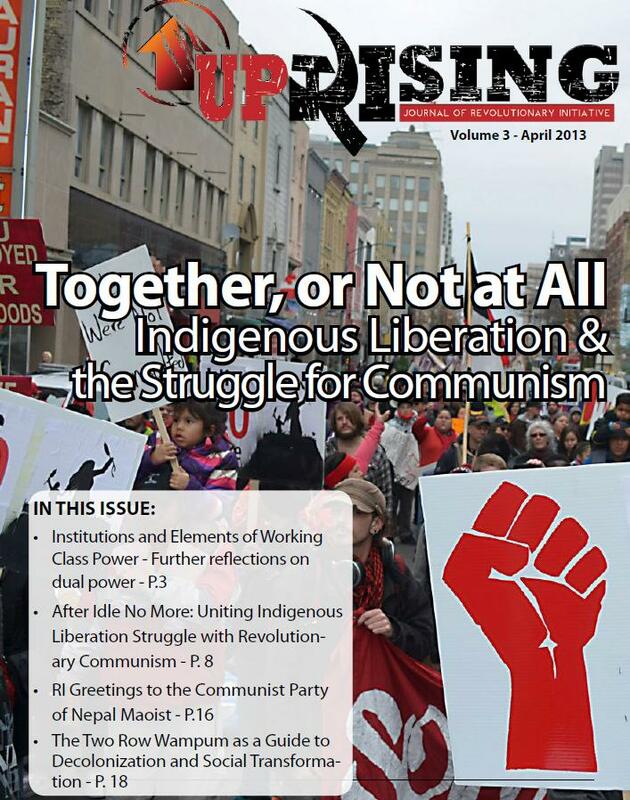 Previous Previous post: After #IdleNoMore: How Can We Unite the Struggle for Communism with the Indigenous National Liberation Struggles?